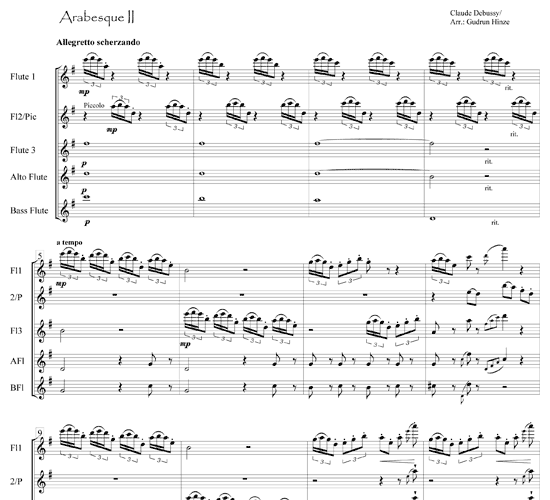 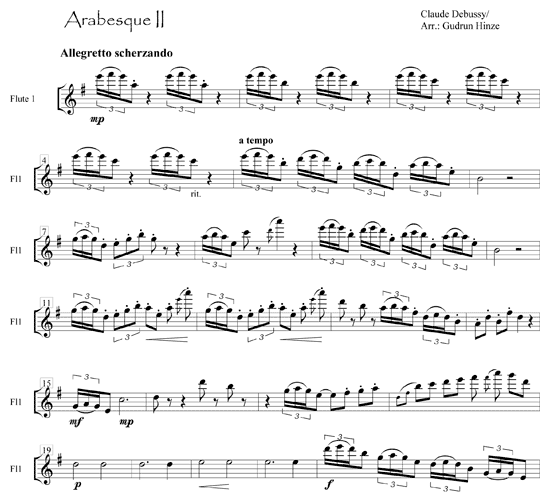 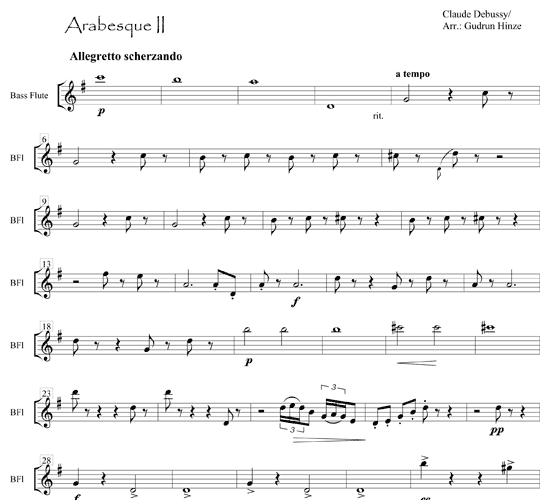 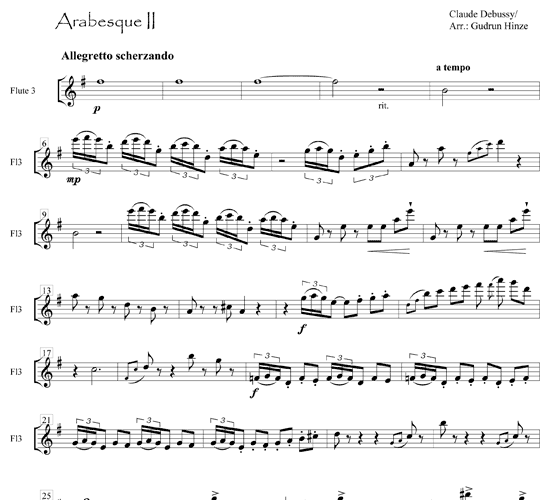 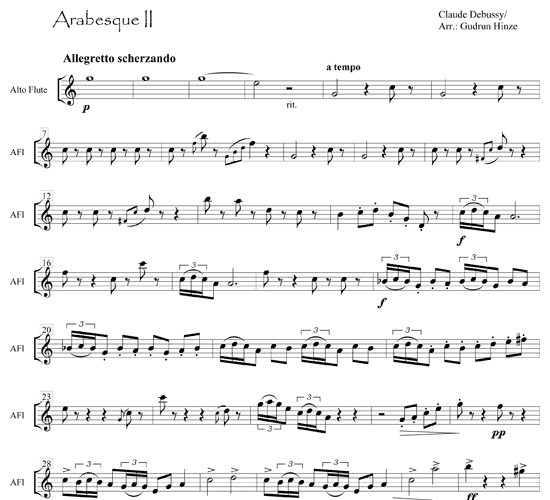 This is the second of two brilliant Arabesques by French impressionist Claude Debussy (1862-1918). 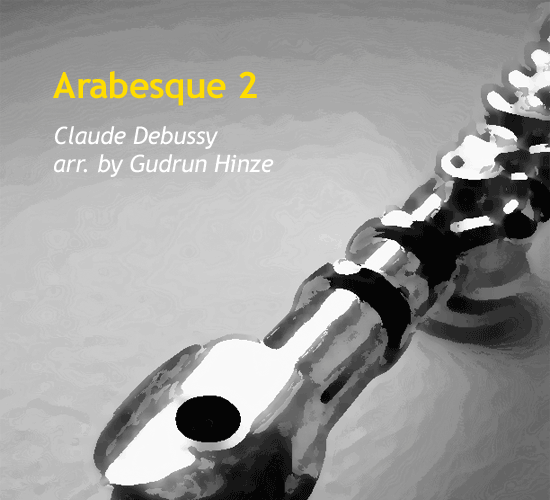 It lures us into a timeless world of luxuriant ornamentation. 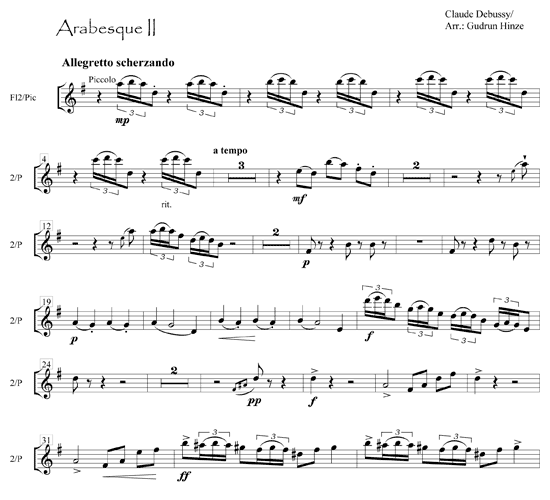 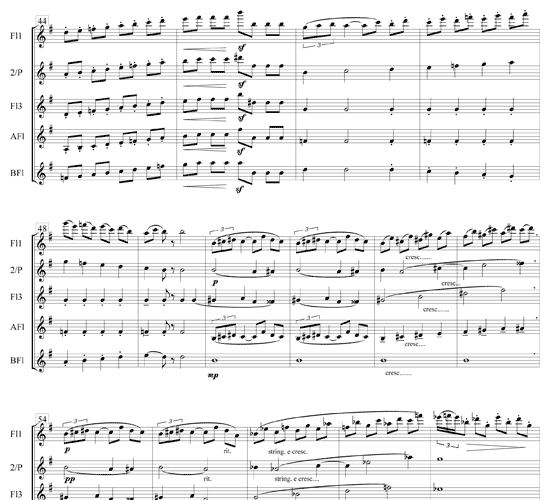 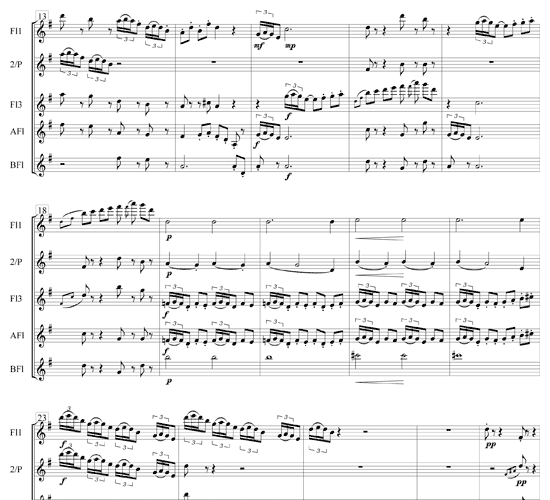 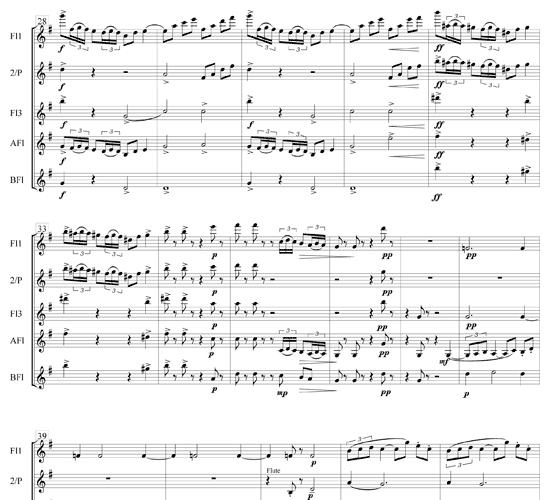 Written originally for piano, it is a vivid and virtuosic masterpiece that requires a group of well-trained flute players with technical skill and knowledge of style.